Editor’s Note: This is a modified blog post that originally appeared on the National Cancer Institute’s blog, Cancer Currents. Guest post by L. Michelle Bennett, director of the NCI Center for Research Strategies; Worta McCaskill-Stevens, MD, chief of the NCI Community Oncology and Prevention Trials Research Group; and Sanya Springfield, PhD, director of the NCI Center to Reduce Cancer Health Disparities. The following is part of a series from senior National Cancer Institute (NCI) scientists and leaders on NCI’s Annual Plan and Budget Proposal for Fiscal Year (FY) 2017, which was submitted to the president on Sept.17, 2015. The proposal provides an overview of NCI’s priorities and key initiatives, and the institute’s funding request for the president to consider in formulating his own FY 2017 budget proposal. In this post, L. Michelle Bennett, director of the NCI Center for Research Strategies, Worta McCaskill-Stevens, MD, chief of the Community Oncology and Prevention Trials Research Group, and Sanya Springfield, PhD, director of the NCI Center to Reduce Cancer Health Disparities, discuss NCI’s holistic approach to addressing cancer health disparities. 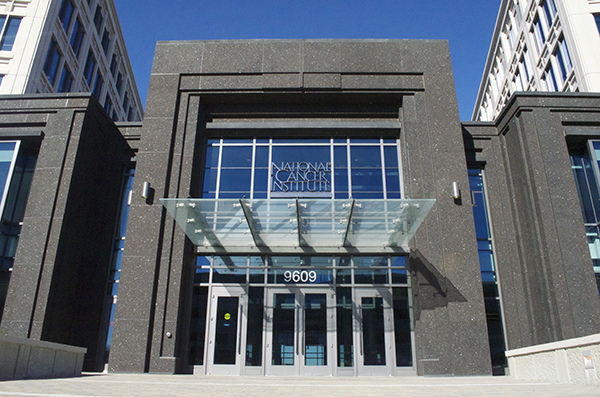 The National Cancer Institute (NCI) in Bethesda, Md. Although we are making progress against cancer, little progress has been made in one important area: reducing the unequal burden of cancer borne by many racial and socioeconomic groups. Such cancer health disparities are a critical problem for affected individuals, their families and communities, and the nation as a whole. As we move toward a precision medicine approach to cancer prevention, diagnosis, and treatment, it is important to make sure that every person—regardless of their background—has the opportunity to benefit from research advances. Accelerating progress against what has been a frustratingly stubborn problem will require breaking down research silos, fostering collaboration among researchers from different disciplines, and attracting new investigators. Recognizing that complex factors underlie health disparities, we at NCI are taking a holistic approach in our efforts to address this serious public health issue. 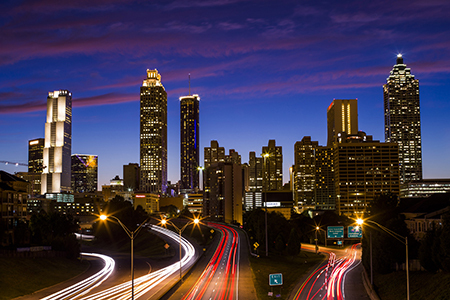 To involve the research community in setting priorities in cancer health disparities research, NCI has organized a meeting of leading researchers, to be held later this month in Atlanta. Information gained from the workshop will be used to develop a strategy to move the research forward in this area. Also in Atlanta, the American Association for Cancer Research (AACR) will host the Eighth AACR Conference on the Science of Cancer Health Disparities in Racial/Ethnic Minorities and the Medically Underserved Nov. 13-16. NCI Acting Director Doug Lowy, MD, will deliver the keynote address at this meeting. The American Association for Cancer Research (AACR) will host the Eighth AACR Conference on the Science of Cancer Health Disparities in Racial/Ethnic Minorities and the Medically Underserved in Atlanta Nov. 13-16. As with many other areas of science today, a multidisciplinary approach is needed to address the complex problem of cancer health disparities. By taking such an approach, the various advances made in different disciplines and the increasing knowledge about the various factors that contribute to unequal outcomes can be more readily integrated to advance progress. It will be critical to include and involve a wide variety of experts to truly solve this problem in the laboratory, clinic, and community. The effort will benefit from involving scientists, clinicians, patients, consumer advocates, educators, and community leaders, as well as others. The role of genetics and biology in cancer health disparities is a crucial area of research with much potential for directly and indirectly improving this problem. Studies have consistently revealed a higher incidence of aggressive forms of breast cancer in African American women, prostate cancer in African American men, and liver cancer in Hispanic populations, and NCI supports a wide range of research. Given the amazing biomedical tools and approaches available today, there is a tremendous opportunity for us to better understand the biological factors that contribute to health disparities. Last year, for example, NCI funded several research projects to develop cell lines and animal models specifically designed to improve our understanding of the biological factors associated with cancer health disparities. This basic research is necessary to create new approaches to addressing such disparities, including precise methods for identifying biological markers of risk and new targets for treatment for affected patients. We’re also funding individual researchers who are delving deeper into the genetic and epigenetic mechanisms that may be associated with cancer health disparities. For example, NCI funds Marta Torroella-Kouri, PhD, a researcher at the University of Miami School of Medicine, to investigate the role of obesity and inflammation in African American women with breast cancer. Clinical trials are crucial to ensuring that research advances improve health. However, accruing patients from diverse ethnic and racial backgrounds to trials is challenging. Barriers to participation include a higher likelihood of comorbidities, costs of care, lack of trust in the health care system, and lack of education about clinical trials. NCI supports investigators at community-based hospitals located in areas that serve underrepresented populations to help ensure equitable access to clinical trials. We also fund community health educators who provide much needed education and outreach to communities of color, and to connect patients to research opportunities and clinical trials. Much of this is being done through the NCI Community Oncology Research Program (NCORP), a relatively new network of investigators who participate in an array of research in cancer control, prevention, symptom science, and screening. NCI is committed to training underrepresented minorities in cancer research in general and in catalyzing interest in doing research in the area of cancer health disparities in particular. A diverse scientific and clinical workforce lends important varied perspective to all cancer research, including disparities research. One such program, the Continuing Umbrella of Research Experiences (CURE), supports underrepresented students from high school through their first academic appointment. As part of the program, high school and undergraduate students from underserved and under-represented populations have the opportunity to perform laboratory and clinical research. We have also created NCI programs such as the Partnerships to Advance Cancer Health Equity (PACHE), which partners NCI-designated cancer centers with minority-serving institutions. These partnerships not only increase minority students’ involvement in cancer research, but also provide the cancer centers with access to minority patient populations that are needed to participate in clinical trials. Join the conversation! Tell us what you think in the comments section on this important topic as well as all NCI priorities outlined in the Annual Plan and Budget Proposal for FY 2017. We also invite you to participate in a Twitter chat on cancer health disparities research, scheduled for Nov.18 at 3:00 pm ET.